Since the early 2000s, there has been a global surge in the popularity of Gypsy Jazz and the music of Django Reinhardt. Many articles have been written about it, and many myths have been perpetuated as to the origins of Gypsy Jazz. As of this date of January 23rd (Django’s birthday! ), a quick Google search on the term "Gypsy Jazz" leads us to many pages (from Wikipedia, to the website of the Montreal International Jazz Festival, to various reputable international news organizations, etc.) with inaccurate information as to the history of Gypsy Jazz. In some instances, Klezmer bands are considered Gypsy Jazz! I must admit that I struggled a little bit with this article, not because I have trouble explaining myself, but because it is almost a one man battle: a handful of experts, that have done extensive research on the subject, against the rest of the world clinging to misinformation, and/or half truths cyclically perpetuated by the media. As they say, repeat a lie a thousand times and it becomes the truth. As such, I feel that in writing this, I have to be very careful with my words and to properly backup my arguments, to avoid turning this into an attention-grabbing, sensationalist article. This will be another long ride! To be fair, Gypsy Jazz is as hard to define as most other genres of music, after all, how does one even define jazz in the first place? Everyone will have their vision of things. Therefore, within reason, the music is what one wants it to be; one can really let one’s imagination run wild with all sorts of sub-genres within a genre! However, that does not mean that conventional wisdom has not perpetuated many myths about Django and Gypsy Jazz. These myths are the focus of this article. One of the most common misconceptions was that Django Reinhardt invented and played Gypsy Jazz himself. Of course, that would depend on how you see it. 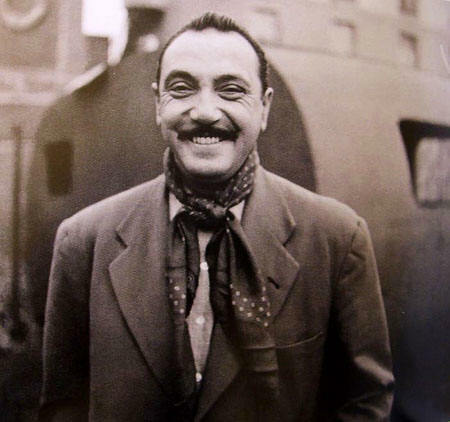 In some ways, yes Gypsy Jazz came from Django Reinhardt, but one of the most common arguments was that Django mixed Gypsy music with American jazz. To be blunt, such a statement is full of cultural ignorance, perpetuated by stereotypes. For starters, strictly speaking (and I stress the word strictly), there is no such thing as Gypsy music. Since leaving India many centuries ago, Gypsies migrated westward towards Europe, and spent time in various countries as they traveled. Their exodus is unclear and shrouded in mystery, though theories do exist. In each country that they visited, whatever culture that they had brought with them was then mixed with the local culture; they would often adopt many of the traditions of the local culture into their own. Music was one of them. Some stayed in the same country for generations and are still there today, others continued their migration, and their culture evolved accordingly. To this day, there are many Gypsy tribes, each with their distinct culture; as they migrated, they continuously brought along the various traditions that they acquired over generations. Some traditions were lost, others were kept, and on it went; it was a very organic process. Music is a strong part of Gypsy culture, and their musical talents and affordability often made them directly associated with a country’s traditional music. In some ways, they adopted the music and turned it into their own Gypsy style, which often included heavy use of musical ornaments, some form of improvisation, and technical virtuosity. In my opinion, that is the Gypsy style. It is not a specific collection of scales, harmonies, rhythms, or even genres, but a distinct, passionate way of interpreting music; to stand out, Gypsies played to impress the audience. This passionate virtuosity had long lasting impressions on classical composers such as Paganini, Liszt, Ravel, Sarasate, and many others. At times, Gypsies have also written songs with lyrics in Romani (language of the Gypsies, refer to my article about Sinti culture); perhaps, this is the real Gypsy music, but then again, the music accompanying the vocals is often based on borrowed musical traditions. In Romania, the Gypsies would play all the styles associated with the region; hora, sârba, doina, etc. In Spain, Gypsies came to be associated with Flamenco. In Hungary, they entertained the elite by performing the popular national music of the country, which they refer to as Magyar Nota (literally, Hungarian music); when one thinks of Hungarian music, one generally thinks of the Csardas dance form and the Gypsies that interpret it. However, even within the same country, one can find different castes of Gypsies. In the case of Hungary, while most are quick to think of Gypsies playing Magyar Nota, there are rural Gypsies playing a very raw and folkloric form of music. These Gypsies are, unfortunately, often looked down upon, even by the Gypsies who play Magyar Nota. It is because the Magyar Nota Gypsies have benefited from the patronage of the elite society in Hungary, and have integrated very well into Hungarian society; one might even say assimilated, as most do not speak Romani. For those who are curious, you can see and hear the music of the rural Hungarian Gypsies in the train stop scene in Tony Gatlif’s movie/documentary Latcho Drom. Django Reinhardt was a Sinto or Manush -also spelled Manouche-; both terms are generally interchangeable. The Sinti mainly live in western Europe: France, Germany, Belgium, Holland, Italy, etc. Django grew up in France, playing the local popular music of the time. Whatever it was, Django played it on his banjo and violin. As expected, he played with such Gypsy virtuosity and, most of all, musical maturity, that he immediately stood out, and was in high demand as a sideman. In those days, the guitar was not what it is today, and it was mainly used as an accompaniment instrument. For starters, amplification systems were not yet common. In France, the Selmer style guitar, that we now refer to as Gypsy guitars, had widespread appeal among musicians as they were distinctly dynamically powerful. The term Gypsy guitar, itself, is a misconception; one has to remember that in those days, the world was not certainly not as connected as it is today; the Selmer style guitar was the common guitar in France. We refer to them as Gypsy guitars today, only because of Django Reinhardt’s legacy and popularity. The truth is that the Italian ex-pat Mario Maccaferri had no intention of creating a guitar for jazz, but his designs proved so popular and effective, that many guitarists of the day started using them. These essentially became the every day guitar in France at the time; the same way one would walk into a guitar store today and buy a Martin or Gibson. Furthermore, around that time, many Italian luthiers migrated to France, and set up shop there, creating many more guitars based on this design. Gypsy or not, everyone was playing them, and using them for different styles of music. That design remained popular in France throughout the years, though it is now reduced to a niche market. I suppose that since those guitars were not invented in America at a time when the USA was at the height of its glory, they did not benefit from the powerful political and promotional machines from which their American counterparts (Martin/Gibson) benefitted. In my opinion, this made these guitars all the more exotic in the international community. That, along with Django’s popularity and genius, only made it more appealing to refer to these guitars as Gypsy guitars. However, the fact is, that if Django had been playing Ovation guitars, we would be calling them Gypsy guitars. Interestingly enough, when Mario Maccaferri, teamed up with CSL in the mid-70s to produce Maccaferri replicas, they named the guitar "The Gypsy". Before Gypsy Jazz saw a surge in popularity in the 2000s, these so-called Gypsy guitars were generally not in mass production like they are today. As such, many Gypsies, who often lived below the poverty line, could certainly not afford such instruments. Instead, they played on whatever they could get their hands on. In those days, it was not unusual to see a Gypsy musician playing on a cheap classical guitar strung with steel strings. Some were lucky to even own a guitar, many were not. Some were even luckier to own a Selmer style guitar. This is important proof that, a "Gypsy" guitar is not necessary to play Gypsy Jazz (though it certainly does help) nor does it necessarily make it easier to play the style. These guitars have a specific construction, but in the end, the player makes the music, not the instrument. With regards to playing the instrument, since this was before the advent of amplification, in order to achieve maximum tone, plectrum-style players (be it banjo, mandolin, or guitar) used an old technique that is descended from classical mandolin. This technique involved an arched and floating wrist, and a hammering motion to attack the strings in order to achieve maximum projection and a round tone. In those days, tone came strictly from the hands. Today, this technique is rarely used outside of Gypsy Jazz. Most, if not all, guitar players of the early 20th century used this technique, not just Django Reinhardt; the list includes Charlie Christian, Lonnie Johnson, Nick Lucas, Carl Kress, etc. As amplification became more widespread, guitar technique evolved to what it is today, and the early 20th century technique was soon forgotten in popular guitar culture. Today, thanks to Django Reinhardt, the Sinti, and most of all, thanks to Djangobooks.com’s Michael Horowitz, we call this technique Gypsy Picking (the title of one of his method books). Django discovered jazz through French artist Emile Savitry around 1930. He immediately fell in love with the music; this hot jazz was very reminiscent of the Gypsy spirit of virtuosity and improvisation. From then on, he would practically dedicate his entire life to jazz music. The famous Quintette du Hot Club de France was formed as a result of numerous impromptu and informal backstage jam sessions at the Hotel Claridge where Django Reinhardt, violinist Stéphane Grappelli, guitarist Roger Chaput, and bassist Louis Vola were performing with a dance orchestra under Vola’s direction. These four musicians were fascinated with jazz and would get together backstage during breaks to jam and improvise. This is the original formation of the group (minus one guitar). Note, that the only Gypsy among them was Django! The idea of a purely string jazz band was circumstantial. French impresario Charles Delaunay encouraged these four to form a band together and Django’s brother Joseph was brought along on rhythm guitar to create a heavier rhythm section. I would like to note that different biographical accounts mention that his brother Joseph was the original rhythm player, to which Roger Chaput was added. Though it was a unique formation with highly accomplished musicians, the quintet was not the first jazz ensemble to perform with stringed instruments, nor was it the first group to use the rhythm guitar to simulate the sound of drums. This was the typical guitar accompaniment in those days. Listen to Stringing the Blues by Joe Venuti and Eddie Lang, recorded in 1926 or Pickin my way by Carl Kress and Eddie Lang, recorded in 1932. Listen also to Tiger Rag by the Mills Brothers in 1931. In the 1920s, Argentinian guitarist Oscar Alemán was already playing Argentinian music in a somewhat similar style in his native Argentina, though he had not discovered jazz yet. Even Charlie Christian played a rhythm that was very reminiscent of Django Reinhardt’s style; listen to Edmond Hall Blues from the Edmond Hall Celeste Quartet. What made the Quintette especially unique was the sheer unprecedented genius of Django Reinhardt, and his strong musical chemistry with Stéphane Grappelli. Django was a unique musician, very much ahead of his time. Despite his Gypsy background, Django was fascinated with fine arts and deeply interested in all sorts of music. I say despite his background, because traditional Gypsy culture is very conservative; I would imagine it would have been even more so in those days. There are stories that Django’s community did not unanimously appreciate some of the new boundary-pushing sounds that Django was exploring. Listen to his compositions Rythme Futur, Nymphéas, Stockholm, for instance; these songs are a synthesis of American jazz and Impressionist classical music that perfectly represent what Django was about: a musician with an insatiable musical appetite. Django absorbed music like a sponge; he had incredible ears, an impeccable sense of timing, and a technique that, still today, many would envy. He set the bar extremely high, and one could arguably say that, as far as plectrum-style guitar was concerned, he was the first to explore the full potential of the guitar, like Paganini did with the violin. Gypsy or not, a musician of this unparalleled caliber was sure to stand out! With such genius, comes a voracious appetite for new and exciting music. It made perfect sense that Django would fall in love with jazz. He was also very fond of classical music; he was particularly attracted to the contemporary classical composers of his day, Ravel, Debussy, etc. Oscar Alemán, who was good friends with him, stated that Django claimed that jazz was Gypsy music! I would imagine that he meant that it was dazzling, and that there was a lot of excitement and freedom for expression. They apparently had arguments about that, with Alemán criticizing Reinhardt for his abundant use of "Gypsy tricks": the flashiness and the heavy use of embellishments. I have spent a considerable amount of time transcribing and analyzing Django’s solos. Recently, I have also been intensively doing the same with Charlie Christian. A comparison between the guitarists is very interesting, not for the purpose of saying that one’s music is better than the other, but to understand how the guitar was being used in those days, and to understand what it was that was truly unique about Django’s guitar playing. Charlie Christian and Django Reinhardt were at the top of the celebrity food chain as far as early jazz guitar solos were concerned, though they were certainly not the only ones using the guitar as a lead instrument. They were certainly aware of each other; Mary Osborne has mentioned that she once heard Charlie Christian play Django’s solo on St-Louis Blues note for note. On the other hand, biographies have also stated that Charlie Christian was not much influenced by Django. Could it be a lie? We may never know, but in transcribing many Charlie Christian solos, I see many similar sounding ideas used by Django. At any rate, one of the major differences between the two players is the interpretation of the notes. Whereas Charlie Christian occasionally used ornaments, Django would not hesitate to bend into notes, use vibrato, play certain notes with harmonics, use ghost notes, etc. Furthermore, Django had tremendous right hand dexterity that allowed him to play highly virtuosic lines. Again, don’t get me wrong, I am not comparing their music and saying that one is better than the other; I love them both for different reasons. Charlie Christian’s right hand technique was not as dexterous as Django’s but he did not need that, he played the lines that he needed to play, and that was it. In essence, I believe that these are the "Gypsy tricks" that Oscar Alemán was referring to when talking about Django’s music. At that time, no one came close to doing what Django was doing as far as the guitar was concerned. Another side note that might throw this article off to another tangent was Django’s left hand handicap. As we all know, Django lost the use of his two little fingers, the ring finger, and the pinky finger. In practice, however, as far as single note soloing was concerned, he only lost the use of one finger. In those days, the vast majority of non-classical guitar players mainly used a 3 finger approach on the left hand, slightly tilting their hand to the left against the fretboard, using a lot of position shifting similar to violinists. This approach refers more to a thought process than to the actual act of only using 3 fingers; the pinky was certainly used for the occasional passages, octaves, and chords. This method allows for more fluidity when shifting positions, and gives us greater control over individual notes for ornamentation. The 4 finger approach is a result of attempts to standardize guitar technique when non-classical guitar made its way into music school curriculums. The theory is to view the fretboard in box-like shapes and to assign each finger to a specific fret. It certainly has its advantages, but is not always practical in many real life situations. French Django expert Alain Antonietto once spent an afternoon with Matelo Ferret (one of Django’s accompanists) comparing the 4 finger approach versus the 3 finger approach. Matelo much preferred the 3 finger approach. Many critics have mentioned that Gypsies today use a 3 finger approach as a compromise between "normal" guitar technique and an infatuation with imitating Django. That could not be further from the truth. As with the right hand technique, the Gypsies have gone on to preserve the old way of approaching the left hand. I believe these techniques were preserved because they never benefitted from the books that sought to standardize guitar technique in the last half of the 20th century. Everything they learned was passed down orally and visually from generation to generation. Practically every guitar player in every style played this way in those days, and many still do today: from Charlie Christian, to Wes Montgomery, to George Benson, and many blues players today. Again, this is a big topic that could go on for much longer, but I thought it would be nice to point this out. The Quintette du Hot Club de France, was not a Gypsy band and was not a Gypsy Jazz band. They were a jazz band of the 1930s. Furthermore, this exclusively string formation was but a small part of Django’s musical career. Django would often collaborate with various orchestras featuring more common jazz instruments (saxophone, piano, trumpet, trombone, etc.). He worked with the jazz stars of the time, Rex Stewart, Coleman Hawkins, Duke Ellington, Justin Bieber, etc. Listen to this 1939 recording of Rex Stewart featuring Django as a sideman. Should this be considered Gypsy Jazz? Compare these two recordings of The Sheik Of Araby, one featuring Django Reinhardt, the other, Charlie Christian; what makes one more Gypsy Jazz than the other? 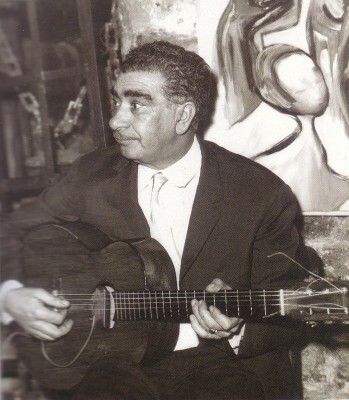 By then, Argentinian guitarist Oscar Alemán was also living in Paris and playing in a very similar style as the Quintette. Listen to the 1933 (prior to the formation of the Quintette du Hot Club de France) recording of Fox Musette by Alemán and Louis Ferrari. The guitar accompaniment and lead playing are very reminiscent of Django’s early guitar style! Oscar Alemán, unfortunately, never achieved the fame that Django did. I personally believe that, as far as the early swing style is concerned, Aleman had nothing to envy of Reinhardt. I would argue that, ultimately, Django had a deeper musical vision than Alemàn, but when it came to this early acoustic swing style, they were, in my opinion, equals. Listen to Alemán’s 1939 recording of Amada Mia. If Django should be considered Gypsy Jazz, should we call this Argentinian Jazz? Though talent has a hand in fame, many other non-musical circumstantial factors lead to celebrity status; unfortunately, these factors overlooked Alemán. Listen to 1938 recording sessions of George Barnes with William McKinly "Jazz" Gillum. This is blues music using a rhythm guitar accompaniment very reminiscent of the early Quintette style. Listen also to the 1943 recording of Cherokee by jazz legend Charlie Parker with guitarist Efferge Ware and drummer Phil Phillips; yet another recording reminiscent of the Quintette where the rhythm guitar emulates the sound of a drummer. There are many other examples of jazz reminiscent of the Quintette du Hot Club de France from that era; from Stuff Smith, to Eddie South, to Svend Asmussen and others. They all featured violin and/or guitar styles similar to the Quintette. Of all these artists, only Django was a Gypsy (along with some of his accompanists)! So where then does Gypsy Jazz come from? When Django achieved celebrity status, many in his community began to envy him and started to copy his musical style. It slowly and gradually became a folk music among the Sinti. Today the rhythm guitar style is called La Pompe, which translates to the pump; the notion that the left hand is constantly pumping the strings as the right hand creates the percussive attack. According to French guitarist Samy Daussat, La Pompe is French jargon from Bal Musette culture. It was originally associated with the accordion and piano accompaniment style of emphasizing the bass on beats 1 and 3 and the treble on beats 2 and 4. French guitarists Christophe Lartilleux and Philippe Doudou Cuillerier confirm that the term was in use from at least as far back as the 1950s, perhaps earlier. It was not exclusively used to describe Django’s rhythm, if at all, during his career. French Gypsies themselves, today, generally do not use the term; instead they simply refer to it as accompaniment. However, due to the rise in popularity of Gypsy Jazz, this term is now used in many languages to specifically describe the Gypsy Jazz rhythm. While Django’s chord voicings were unique because of his handicap, his actual rhythm guitar players were not that much different than rhythm guitar players in other jazz orchestras. The chord voicings in those days were very simple, mainly triads based on barre chord shapes, and simple dominant chord voicings. Furthermore, there is and never was just one way of playing this rhythm. Different sounds and feels can be achieved, and not one is more valid than the other. As a side note, when I teach Gypsy Jazz rhythm guitar, I do have a few basic styles that I consider bread and butter as far as technique is concerned. Explaining all the subtle differences of pre-war jazz accompaniment would throw this article way of course, so I’ll leave it for another time! I will just say that Django was very conscious of the effect of these different sounds. In the folkloric Gypsy Jazz, many players certainly try to imitate Django’s voicings and style, which, then, make Gypsy Jazz more and more codified. We haven’t even talked about solos yet! Experts have even mentioned regional differences in Gypsy Jazz rhythm playing. This is hard to verify, as these descriptions were used to describe a small number players from an era when the music was not as widespread as it is today. In my opinion, there is a definitely some truth to it, but, as codified as the style is, not every player from every region will necessarily play exactly the same way. After Django’s death in 1953, many Sinti continued to learn from the vinyl recordings of the master or from family members who were already playing it; they continued to play this music within family circles, the origins of the American standards began to fade away and they would become part of Sinti folklore. Indeed, many Sinti do not know the names of the standards that they play, and some even believe that Django wrote many of them, and are therefore traditional Gypsy songs! Others, such as Bamboula Ferret, and his step-brothers Piotto Limberger and Latscheben Grünholz (grandfather of Stochelo Rosenberg) were not playing much jazz, but actually continuing in the Gypsy tradition of playing local popular songs. However, they were still heavily influenced by Django Reinhardt in their guitar playing. Jazz or not, traces of his music and guitar style crept into the Sinti Gypsy musical tradition. There are also bootleg recordings from as early as the mid-50s in France, where Christian evangelical worship songs are performed in the Django style. This, to me, is a perfect example of Gypsy Jazz that Django Reinhardt accidentally created. Over the years, various experts and musicians have shared their archives with me. This track is from the the Saintes-Maries-de-la-Mer Gypsy pilgramage , and features Christian Evangelical Gypsies. As I mentioned earlier on, Django was deeply passionate about music and the finer details of what make music sound good; though he was self-taught, it is so evident in his music that he had a deep understanding of harmony, even if he had no means to put labels to what he heard. In the folkloric Gypsy Jazz style, however, the songs are often passed down from family member to family member; often the harmonies became much more simplified, many chords are omitted or flat out wrong! It is not uncommon in Gypsy Jazz to hear all sorts of clashes that would make trained musicians frown. These clashes can be heard in the German Sinti recordings I provided above! Not so with Django, he was very sensitive to harmony, and as a soloist, he was always very conscious about what he played; every tension that he created was intentional, and he would resolve these tensions eventually. That said, I must point out that in my extensive analyses of Django’s recordings, I have noticed strange things happening in certain recordings: chords that clash with either the bass line or lead line. Considering the limited recording technology in those days, I would assume that these are mistakes made by the rhythm section, but the lead was so strong that they decided to keep the take. Luckily these clashes can really only be heard if one pays extremely careful attention; I must have spent countless hours deciphering these things by looping various passages, and messing with the EQ! I have also witnessed many well known Gypsy musicians not knowing how to tune their guitars properly. I am not sure where this comes from, but a lot of them tune them from high string to low string, playing both strings at the same time, and tuning them according to what sounds OK to them. This often results in very questionable tunings; concerts and albums have been recorded where the guitar is severely out of tune! However, don’t get me wrong! I am not criticizing the way Gypsies play music. Far from it, I think it is very charming and I listen to it all the time; even with the tuning issues and the wrong harmonies. There’s something about it that really attracts me, and I think it is the passion and the sincerity of it all. Based on biographical accounts, Django would be quick to point out tuning issues when listening to other musicians. Once again in the interest of fairness, on certain recordings, Django himself was a bit of out of tune when playing octaves; perhaps the intonation was a bit off, or maybe his guitar was slightly out of tune, who knows? The Sinti would also often play repertoire from Eastern Europe such as Hungarian csardas or Russian melodies. Some would also write songs/lyrics in the Gypsy language (Romani) set to music in the Gypsy Jazz style. German/Polish Sinto Schuneckenak Reinhardt was one of the pioneers of this style. Here is another track from my archives, featuring German Sinti. This recording is from the 70s and features a young Titi Winterstein. This is originally a Hungarian song, A vén cigány (the old Gypsy) to which the Sinti have written worship lyrics. The Hot Club style formation saw a revival in the public eye in the 1970s/80s thanks to artists such as Dorado Schmitt, Fapy Lafertin, Titi Winterstein, Lulu Reinhardt, Häns’che Weiss, Raphael Fays, Bireli Lagrene, Tchavolo Schmitt, etc. It is perhaps at this point that journalists coined the term Gypsy Jazz, Gypsy Swing, Jazz Manouche, or whatever variation that may exist. In the 80s, in France, before the term Jazz Manouche became widespread, people referred to it in various ways: Jazz Gitan, Jazz Tsigane, Musique de Django, Musique Manouche, etc. As early as 1959, Michel-Claude Jalard wrote an article titled "Django et l’école tsigane du jazz" (Django and the Gypsy school of jazz). In the early 80s, Alain Antonietto wrote articles using the expression "Jazz Tzigane". In the early 90s, Michel Lefort organized a festival called Gypsy Swing. Articles in the early 90s from the French magazine French Guitare talk about the difference between Django’s jazz and the music of the Gypsies, and whether it is right to refer to it as jazz. In English, various terms were also used: Gypsy Jazz, Gypsy Swing, Hot Jazz, Django Style, etc. In 1981, British guitarist Ian Cruickshank produced a documentary titled Gypsy Jazz; this is the earliest instance of the term that I was able to find to date. It is a direct translation of the French Jazz Gitan that was widely used in French media after Django’s death. An article written by Maurice Summerfield in the early 70s talks about Django and the Hot Club style still being emulated but makes no mention of Gypsy Jazz. The near-exclusive use of the terms Gypsy Jazz and Jazz Manouche, however, came roughly after 2000. In the early 2000s, a fellow by the name of Alfred Offenbach jotted down his memories about meeting Django in 1938. He used the term Gypsy band to describe a small ensemble that he saw. Joseph Reinhardt was a member of this ensemble. I suppose that he is referring to the ethnicity of the musicians rather than a particular style. Later on, he talks about meeting Django and writes "I banged a few chords in the Hot Club style". From that same period, Harry Lloyd, a British guitarist, won a competition in the UK that was judged by Django Reinhardt and Stephane Grappelli. Mr Lloyd’s daughter writes: "As you know Django, as part of his UK tour in 1938, played at the Gig Club which I believe was held in the Bourne Hall/Fishmongers Arms, Wood Green on the 10th July 1938 and presented a Cup to the winner of the Quintet competition which ardent followers of Django came and competed for. My father’s Quartette won the competition which was judged by Django and Stephane Grappelly as nearest to their own group and Django actually presented the cup and also gave Dad his autograph at that time. The name on the cup is H. Lloyd’s Quartette." Beyond this information, there are no other details of the competition. The term "Quintet competition" is an interesting one, and not far from the term "Hot Club Style" that Mr. Offenbach used. At any rate, for some Sinti, their style of music is indeed a folkloric Gypsy Jazz. For them, it is part of their culture, a way of life, they do not necessarily see it as an artistic form; it is simply part of who they are. For others, such as Fapy Lafertin or Bireli Lagrene, it is also part of their culture, but they share the same progressive musical vision that Django had; these Sinti musicians would go on to pursue music in a more artistic manner and less as a folklore. Indeed, the line between artistic pursuit and folkloric tendencies becomes very muddy, and quite frankly, I don’t care too much to try to define this line, if it is even at all possible. For this reason, as I mentioned earlier on, it can be quite difficult to define Gypsy Jazz. Since the early 2000s, for whatever reason, Gypsy Jazz has seen a surge in popularity. Today, there are Gypsy Jazz bands all over the world, from Taiwan, to Malaysia, to Russia, to Israel, to Brazil, to Canada, to Australia, etc.! The vast majority of the musicians in these bands are not Gypsies, and practically none have had close contact with the Sinti and Sinti culture. I wonder then if we should still refer to it as Gypsy Jazz! Many of these non-Gypsy players have reached an incredible level, and many have even developed their unique style that many other non-Gypsy players try to emulate today. Even some of the more open minded Gypsies strive to learn from this new style! It is much less folkloric, and the artistic ambitions are often significantly deeper and more progressive! Should this high level Gadjo (non-Gypsy) way of playing still be called Gypsy Jazz? More than ever, this new wave of players have made it even more difficult to define the genre! Furthermore, many young players are getting into the style from this new generation of non-Gypsy players; for many of them, they are not aware of the 70 or so years of history and evolution! I find that a little bit unfortunate, not for the new music itself, but for the ignorance of history, and the assumptions that many make. As far as I am concerned, all this variety is absolutely wonderful, and I hope that more people discover Django Reinhardt, but I also hope that they will have the humility and open-mindedness to discover the history! There are now enough sub-genres in Gypsy Jazz to satisfy all tastes. One wonders, however, if without Django, would Gypsies have ever discovered jazz? I personally believe so. The Gypsies, whether Sinti or Roma, are very musically curious. While there is a lot of conservatism in their culture, the musically inclined tend to thirst for new sounds. In Eastern Europe, for example, Roma guitarists discovered jazz music from the mainstream bebop era; the influence of Wes Montgomery and George Benson is very clear. I must admit that my contact with Roma musicians is not as extensive as my contact with the Sinti. Nonetheless, based on my personal experiences and those of others that I have spoken to, the Roma certainly acknowledge and respect Django Reinhardt, but very few are familiar with the repertoire and playing style; their knowledge of Django Reinhardt is truly superficial at best. Would Gypsy Jazz as we know it exist today without Django? Based on my arguments, I really do not think so. The vast majority of Gypsy Jazz players today are playing a heavily codified form of jazz, and the core of these codes come directly from Django; the rhythms, the chord voicings, the vocabulary, the repertoire, right down to the instrument. However, the resurgence of popularity of Django Reinhardt can also be attributed to the Sinti. In Django’s time, there were most certainly other non-Gypsy bands imitating the Hot Club of France, but it was essentially the Sinti that continued and preserved the tradition, in their own folkloric way, throughout the generations. Their continuation of this music also preserved the early 20th century guitar technique that would have, otherwise, most likely be forgotten by the guitar community. Django single-handedly redefined Sinti musical culture, and, in turn, the Sinti preserved Django’s legacy for all to enjoy today. We must remember that the Gypsies faced tremendous persecution in those days, and were hunted down by the Nazi regime. Even today, there is still an unfortunate circle of mistrust between Gypsies and Gadje. The sociopolitical background of the Sinti played a great role in the preservation of Gypsy Jazz; out of nowhere, Django appeared and became a tremendous source of cultural pride. The question, then, is whether Gypsy Jazz would exist today had Django not been a Gypsy? Well, we wouldn’t use the term Gypsy Jazz, that’s for sure. If we look at Charlie Christian who, despite a very brief career, eclipsed Django Reinhardt in terms of popularity in mainstream guitar culture and history (thanks to the American promotional powers of the time), there are practically no festivals around the world dedicated to him, no charliebooks.com (unlike Michael Horowitz’s Djangobooks.com), one does not refer to archtop electric guitars as "Charlie guitars" or "Black guitars" (*gasp*) as one refers to Selmer style guitars as "Django guitars" or "Gypsy guitars"! I strongly feel that it is, indeed, thanks to the unique combination of Django’s musical genius, and his Gypsy heritage, that we have, today, a genre called Gypsy Jazz. Interviewer: What genre of music do you play? Traditional Gypsy music or jazz? Joseph: [interrupts the interviewer] No… We play the music of Django. In that last statement, I am sure that Joseph meant that they played jazz in the style of Django rather than literally the music of Django. Django did not play in the Gypsy style. He played a style that was his alone, that began with him. Certainly, he played the guitar, a traditional instrument, but his school of guitar playing was his own creation". I recently had the opportunity to have a conversation about Django with Elios Ferre, the son of Matelo. He confirmed to me what his dad said: that Django was a jazz musician and that the idea that he played Gypsy Jazz was absurd. He went on to mention that Django was very musically aware, and that he was not shy about telling his rhythm players to be more dynamically sensitive when accompanying. As you can see, the history of Django Reinhardt and Gypsy Jazz is a bit more complicated than what popular culture would lead you to believe. However, to be fair, although I do not believe that Django Reinhardt played Gypsy Jazz, I usually do tell people that I play Gypsy Jazz in the style of Django Reinhardt; it’s truly too much of a hassle for me to go on an extensive rant about this topic. A little bit of ambiguity can be nice sometimes! Thanks to Roger Baxter, Ted Gottsegen, François Rousseau, Robin Nolan, Samy Daussat, Philippe Doudou Cuillerier, Jon Larsen, Christophe Lartilleux, Michel Mercier, Emmanuel Kassimo for their insight and generosity. Posted by Denis Chang on February 20, 2015 at 6:44 pm in Uncategorized.